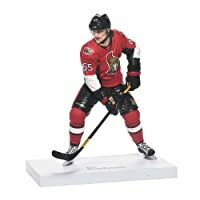 A legend amongst Ottawa Senators fans, Erik Karlsson epitomized the culture of Ottawa by leaving everything he had on the ice everytime he played! 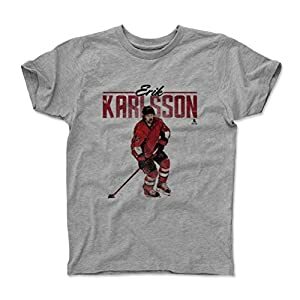 This Erik Karlsson Youth Shirt is a great addition to any young kids's wardrobe who's a Erik Karlsson and Ottawa Hockey fan! 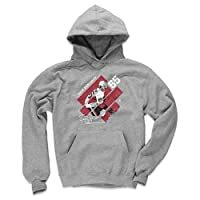 About: Digitally printed onto a classic, soft Youth Shirt; a great shirt for active boys & girls of all toddler and youth ages and the perfect back-to-school shirt! The art is bold, but the shirt has the softness similar to vintage P.E. t-shirts, making it undoubtedly the first shirt out of your child's clothing drawer. With a 1x1 bound crew collar, the Tri Colors are constructed of 50% Poly/25% Cotton/25% Rayon and Heather colors are 60% Cotton/40% Poly. Why Buy a 500 LEVEL Youth Shirt? 500 LEVEL takes great pride in the relationships we've made and the clothes we send to our customers, so when you receive your item please take a moment to verify its authenticity and quality. We genuinely hope you enjoy your purchase! 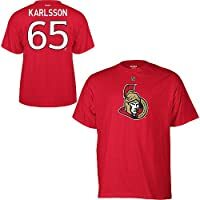 Ottawa Hockey Fan Gear and Apparel Officially Licensed by the NHL Players Association Proudly And Meticulously Made In Austin, TX Custom Artwork: Passionately Designed by 500 LEVEL artists Erik Karlsson apparel and accessories are custom and made-to-order, please allow up to 7 business days for shipping. Thank you!